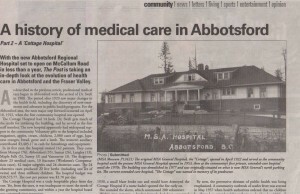 The first hospital in Abbotsford was located in a house, on Hazel Street, owned by Dr. Thomas Swift. It was without plumbing or running water and the upstairs was used for the maternity and surgical wards. Mrs. McGuire a nurse/midwife was the first matron, and another woman was in charge of housekeeping. Dr. 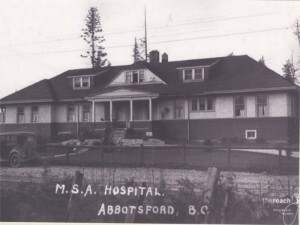 Swift pressured the local council to fund a “real” hospital and, on April 18, 1922 the first MSA hospital known as the Cottage Hospital, opened with 14 beds. In 1944, the Matron of the Hospital was also named “Honorary President”. Auxiliary women supplied the kitchen with canned fish, chicken, pickles, jams and vegetables from their gardens. They sewed hospital bedding, curtains, gowns and baby layettes. Funds raised by the Auxiliary ($1,400) paid for furniture, sewing machines and operating equipment. On February 28, 1953 a new MSA Hospital opened its doors to patients. It had 50 beds and 18 bassinets. Several additions were made over the years and by May 2008 had a capacity of 261 beds; still inadequate for the community that it served. The older MSA or Cottage hospital became an extended care facility until it was replaced with a newer structure. A Junior Auxiliary was formed in January 1941 with 13 members. In June of 1942, a Constitution was drawn up and adopted. That same year the Junior Auxiliary joined the BCAHA. The first bazaar took place in October 1946 and raised $189. Many inventive ways to raise funds for the hospital included rum balls, raffles, fashion shows (the first took place on April 18, 1945), plays and parades. A Gift Shop was opened in 1973 and is still our biggest “money-maker”. The first “old fashioned” bazaar was initiated in November of 1978 and remained a profitable venture until 2013 when it was “retired”. By 1983, the women had donated $200,000. Various items have been purchased for Emergency, ICU, Pediatrics/Surgical Day Care, Maternity, Ambulatory/General Day Care, Respiratory Therapy and the OR over the years. 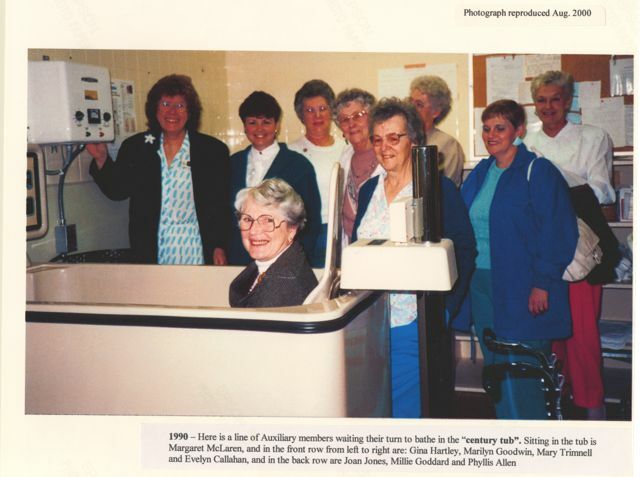 By 1999, the Auxiliary had raised over 1 million dollars for the MSA Hospital. In August 2008, a new hospital – a P3 (Private, Public) hospital and Cancer Centre was opened with 350 beds. 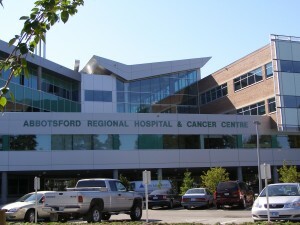 The Auxiliary pledged $250,000 to the new Abbotsford Regional Hospital, and brought about some significant changes for the Auxiliary. At this time, the Auxiliary came under the umbrella of a Volunteer Resources Manager, who was responsible for the Community Volunteers, as well as the Auxiliary members. The Auxiliary differs from the community volunteers in that we have our own “governing” body (ie. executive) and attend a monthly meeting. Members pay a $10 annual fee. The Gift Shop has become the primary fund-raiser for the Auxiliary. Recently teenage volunteers (mentored by members of the Auxiliary) are serving in the evenings and on weekends. 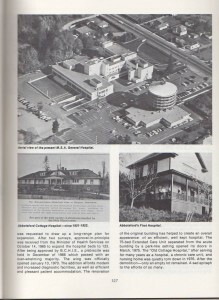 Auxiliary to the Abbotsford Regional Hospital is a member of the BC Association of Healthcare Auxiliaries which was established in 1945 to promote education, leadership, effective communication, and high standards of performance as key factors in member Auxiliaries’ success. 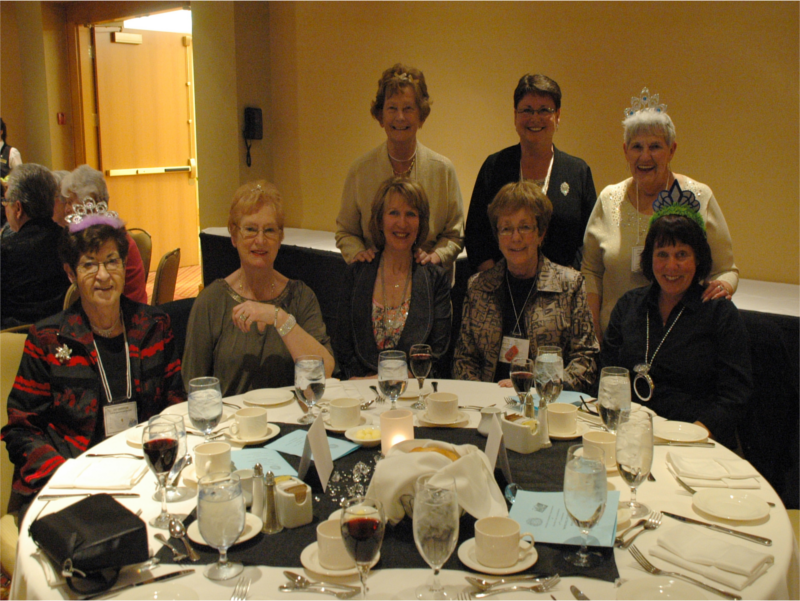 Currently, BCAHA’s 83 member auxiliaries in BC represent more than 6,600 adult volunteers and 800 youth volunteers. In 2014, member Auxiliaries devoted more than 1,330,000 volunteer hours, and donated more than $7,090,000 to purchase much needed healthcare equipment at the local level, and to enhance the care and comfort of patients and their families.